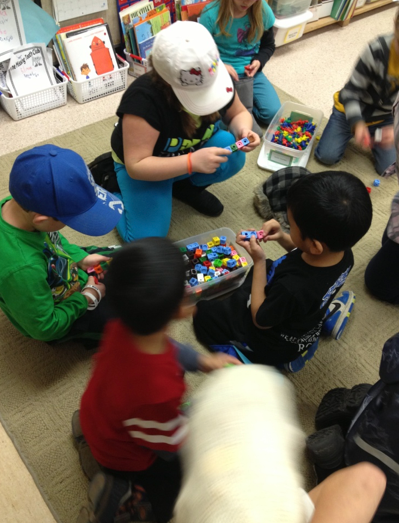 Blog contributed by Georges Vanier Educator, Erika Gray. I took the opportunity to explore some features of the school before the school day started. Karen’s school has a really great home reading program whereby each wing of the school has home reading books leveled and labeled. 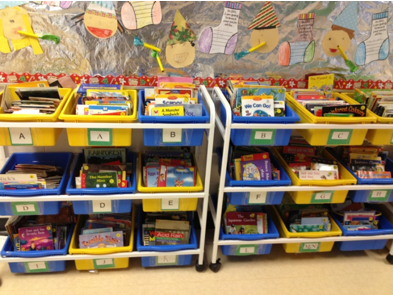 These are the books shared among the K/1 classes in their wing of the school. Every morning after planner check, students go into the hall and choose a new book, based on their level, to take home to read that night. I met a wonderful Grade 1 teacher, Megan, before the school day started. 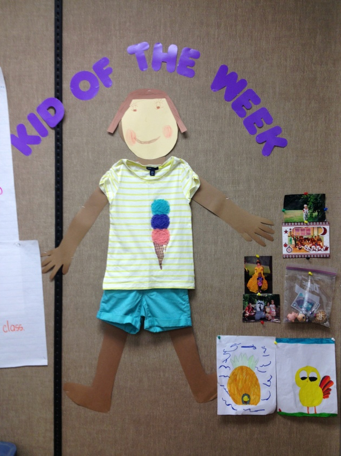 She mentioned that one of her most popular activities is “Kid of the Week.” Each week, a new student gets this “honour.” They are in charge of teaching the class about themselves through a speech, pictures, sharing special items from home, and through completing different writing activities. 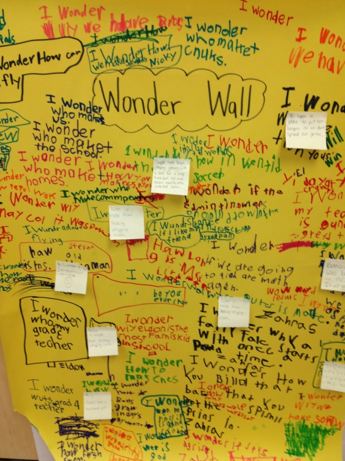 The “Wonder Wall” is the first thing you notice when you enter Karen Lirenman’s classroom. It is a way for students to learn about asking and answering questions. 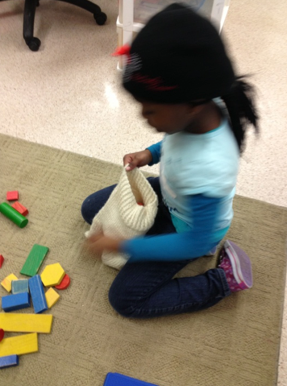 It is also a way to feel comfortable and take ownership of their classroom. Students are allowed, at any time, to write questions on the wall. Karen encourages feedback from the class and scribes their answers to these questions on a post-it note. Students can ask questions about the classroom, things they are wondering about with their work, or they can ask direct questions about their teacher and build rapport in that way. 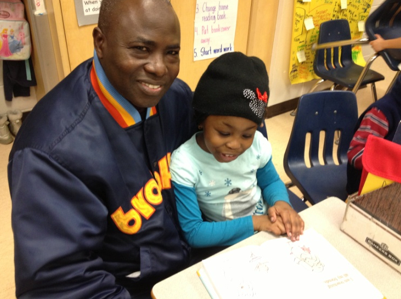 It was very special to observe “community read.” This takes place first thing in the morning where parents, caregivers, and even siblings (along with mom or dad) are invited to come and read with their children. A neat feature of “community read” is that students are also able to read using the iPads that are loaded with interactive stories. These grade ones have been learning about blogging. As an authentic writing assignment, Karen read the students a book called “Boy and Bot.” After hearing the story, students blogged about the story and the author responded personally to each blog. 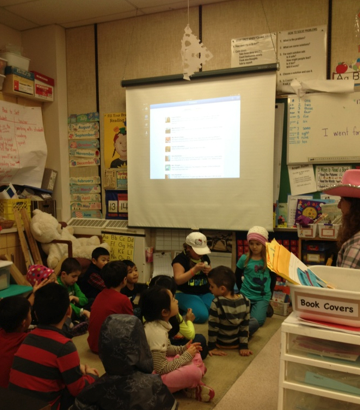 The students even tweeted about their reading, and had the author tweet back to them. In this picture the students are reading what the author wrote to each student. 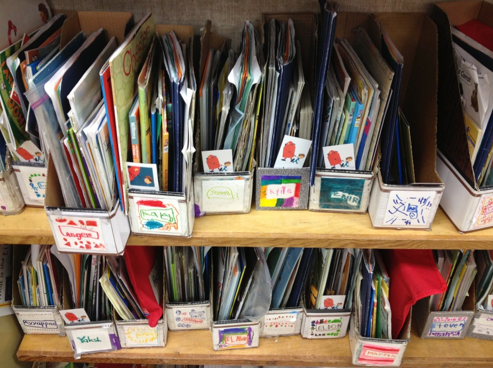 Students in Karen’s class have their own folder of books. When it is quiet reading time, they access their books quickly and have a nice selection from which to read. It’s writing time! Karen’s philosophy is all about choices and authentic learning. 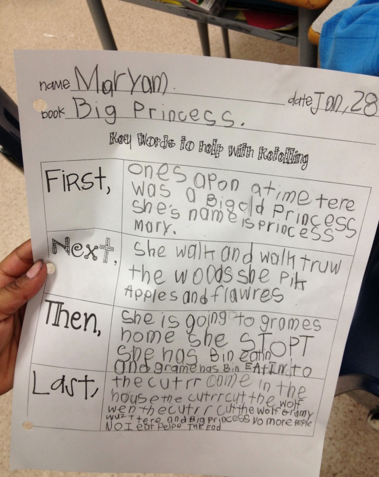 I observed many different kinds of writing in Karen’s class. There is one rule: the first 10 minutes of writing time must be silent. The format and style of the writing is up to each student’s personal choice. Some students choose to blog about a topic of interest on an iPad. 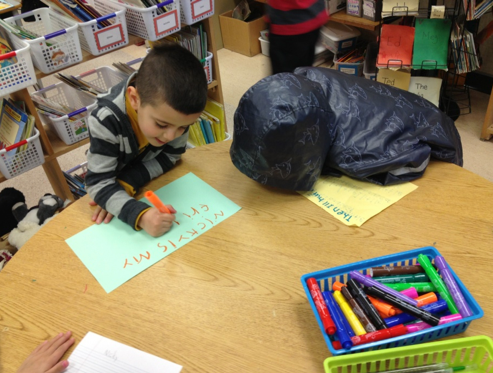 In the second picture, students are writing with “smelly felts” on coloured paper. 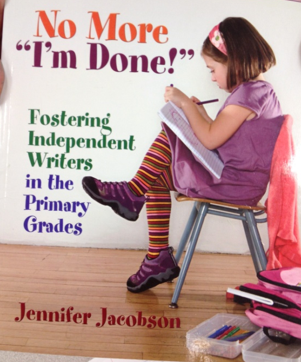 Students also have a “free write” journal where they can write stories, and there is a paper including “First, next, then, last,” for those students who feel comforted by a highly structured format. The book pictured below is where Karen has gotten many of her ideas for an authentic writing experience for her students. Because Karen is lucky enough to have a class set of iPads full-time, students always have access to their blogs. 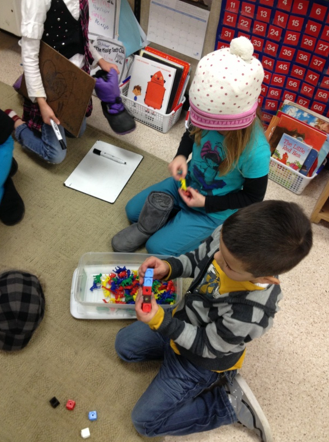 They have the choice to blog their learning in math after they have completed the task. The way Karen teaches her students to use technology to display their learning in an authentic way is something I am working toward in my own classroom. Her philosophy about student-driven learning is evident in the way she offers choices for many activities in her classroom. 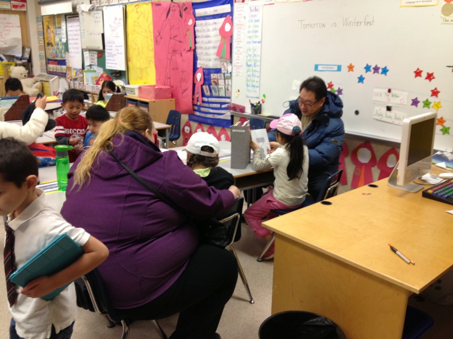 I had an interesting and inspiring day in Karen Lirenman’s Grade 1 class. A special THANK YOU to Karen Lirenman and her wonderful class and parents. Thank you as well to the staff and administration at Karen’s in Surrey, B.C. This entry was posted in Professional Development and tagged blog, blogging, collaboration, community read, erika gray, grade one, ipads, karen lirenman, kindergarten, math, mathematics, numeracy, parent involvement, reading, sharing, technology, technology integration, wonder wall, writing. Bookmark the permalink.